I picked this up on a recent expedition to one of my local Boots stores. Prestige are originally a US brand, now sold in over 45 countries globally. Over here, they’re available in larger Boots stores. 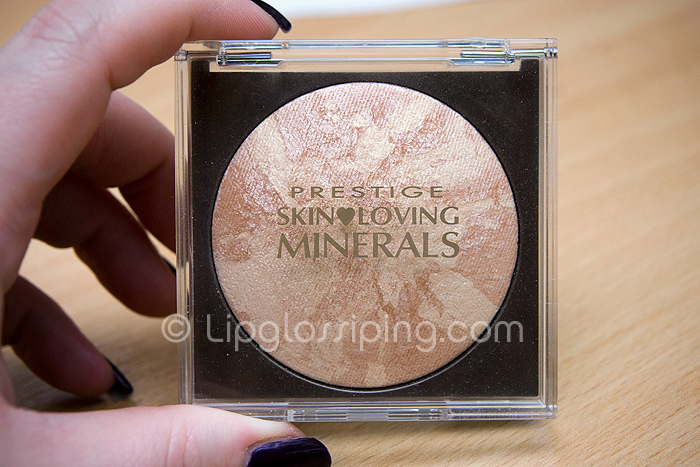 When I saw the Skin Loving Minerals Brozing Powders, I was surprised to see one of them so pale in tone… infact, sad old git that I am… I got quite excited and practically skipped to the checkouts. Although, not before adding half the Bourjois stand to my basket. Anyway, shopaholic tendencies aside, how does this stack up? 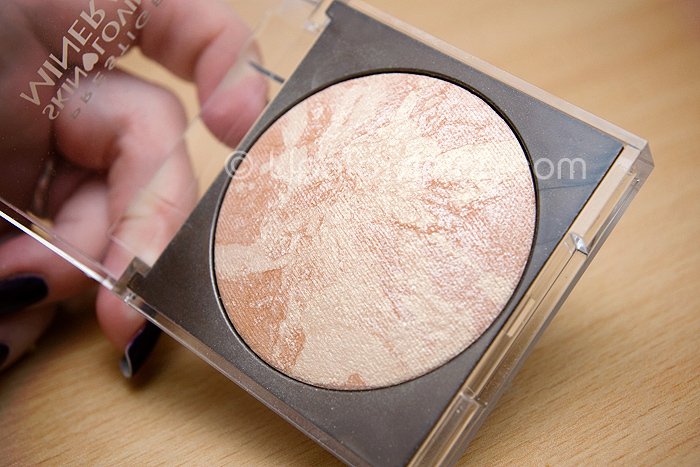 It’s a baked, marbelized pressed powder with a lot of shimmer, but no glitter. Texture is smooth enough, but not as smooth as some…. I’m thinking of the LE No7 Highlighting Powder which glides like velvet onto the skin (I don’t own it – I think 4 pale gold powder highlighters are quite enough for one makeup addict’s collection – at least that’s the mantra). I really like the packaging, it’s not fancy… it’s not even particularly pretty, but it feels quite modern and I can’t think of too many producs that are housed in little clear perspex-esque boxes like this. It’s functional and clean. Thumbs up. i think if i can get through my mac MSF a little, i might have to get this. Adore this product!!!! Perfect for the cheekbones. I have this in glam tam. and it’s gorgeous…just a little hard to apply if you’re heavy handed like me! but definitely a keeper! I didn’t know where to get Prestige stuff, thanks! I love my highlighters and I absolutely adore this powder. I have a lot of highlighters, but I actually keep this in the downstairs cloakroom, so it probably gets most use overall. I don’t agree with you about it not being as silky as some other powders, this is so soft and lovely, it’s wonderful. I’ve always thought about getting this one–I have one of the darker shades, and use it here and there. I imagine this would be nice paired with different bronzers and blush. YESSSSSSSSSSSSuh! I love Pure Shimmer! 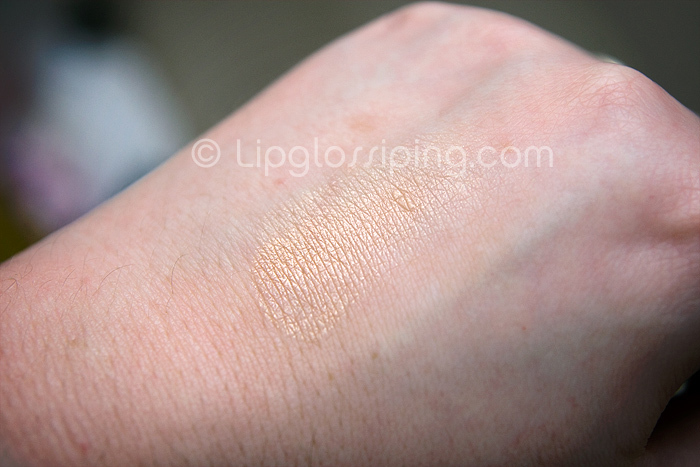 I hemmed and hawed over it for awhile because I already had a couple of highlighters in my collection (not to mention countless shimmery eyeshadows that easily could have worked as highlighters in a pinch)… but what can I say, I really wanted it! Words cannot express how beautiful I find it; I use it almost every day. I heart Prestige, they make products of a wonderful quality that retail for an extremely reasonable price. I haven’t seen that before, but it looks really nice! I have one called “Rich bronze”. It seems fine when I swatch it with my fingers but with av brush it´s fair.